Everything is going online in a bit! They are already online you say, right? Your magazine business, TV, Radio, Seminars are changing to conventions like blogs, Online TV and Radios, podcasts, and Webinars etc. In 5 years time if Jesus tarries, would you still have a Job, or remain in Business? New Mums, wouldn't you rather learn skills to help you work and earn from home while catering to your children? 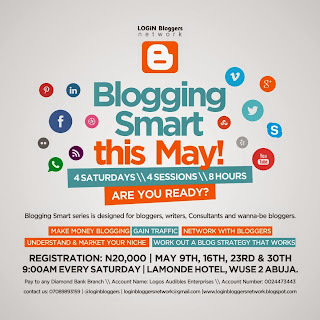 Everyone seems to be blogging abi? But...in 2 years time the number will still double. This May from May 9th, every Saturday in Abuja, you can invest in an 8hours that you will remain grateful about. 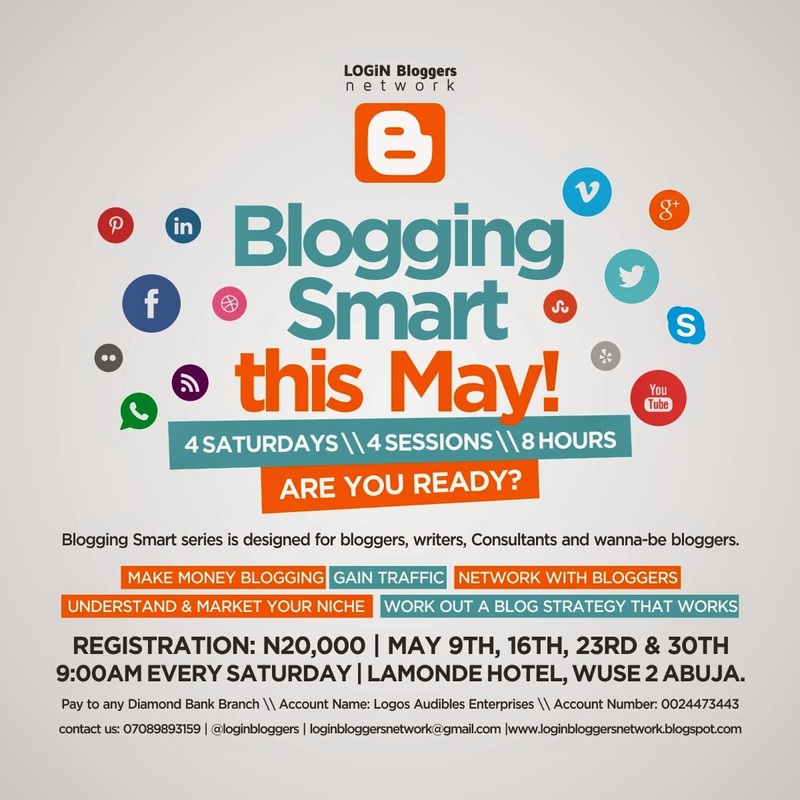 Sessions will expose you to Blogging and niches, how to make money blogging, how to make your impact as an NGO, from 3 seasoned facilitators.